“Happiness is not having a lot. Happiness is giving a lot.” Gautam BuddhaThe Anandam Psychiatry Centre is designed in a way that meets every individual’s requirement. Its warm décor, humble staff and peaceful ambience is well appreciated by our clients. 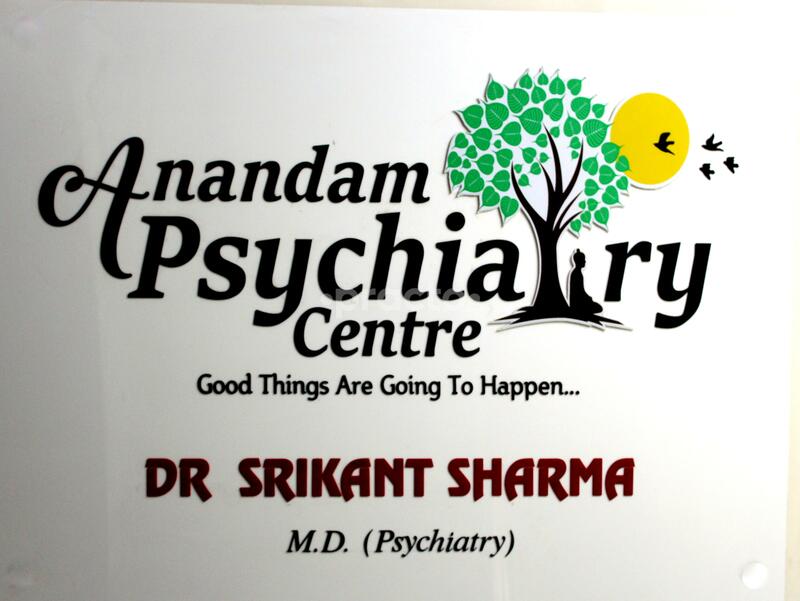 We at Anandam believe in providing a comprehensive treatment to our clients, ranging from pharmacological treatment to psychosocial counseling support. Our aim is to provide ‘comfort’ to all our clients apart from the treatment required. Our specialists focus on “holistic treatment approach than just symptom-relief approach. Enhancing the ‘overall well being’ of an individual is our prime focus. From empathetic listening, detailed history taking, plan of treatment to other treatment modalities, is provided with patience and genuineness. Philosophy of care -In Anandam Psychiatry Centre we believe in identifying the cause of the problems by taking detailed history and using exceptional diagnostic skills. We work together with the patient & his/her caregivers to achieve a full recovery and improvements in all spheres of life, irrespective of the condition & characterstics of the person. Our goal is to help the client to best of his expectations through right and complementing combo of Medications, Psychological support, & Complementary therapy in form of Yoga, Meditation etc. My friend recommended Dr. Srikant. Our experience with him is outstanding. He is master of his subject and has the ability to convenience his patient. However, we could not bring our patient to have one to one discussion with him. Probably we will succeed next time. We wish all the best to Dr. Srikant and the Max admin in their future prospects. Depression treatment for my brother. I very good doctor. Problem is understood. I am happy and looking forward to better myself health. Ita a good centre where in depth examination is done ** **** *** ********* ** ********** Would like to suggest everybody. Very good ability to understand the issue. He prescribed us **** treatment. Easily approachable. Staff is friendly. Really good ambience.